I used Gnomenu for a couple of days and found it to be slightly less functional (although much prettier) than the standard Gnome menus. I'm always looking for applets to enhance productivity and ease of use. IMHO Gnomenu isn't one of them. Thanks for mentioning DockBarX. I've never been a fan of docks as they always want to slide away, sit on the desktop, or sit on top of my applications. This panel app is fantastic though and will finally allow me to lose my bottom panel that, until now, has only served to hold my active application list. file-browser-applet deserves a mention. Love that one. I love docbarx and namebar too! I agree with the above commenter on GnoMenu. Looks cool but far less functional. 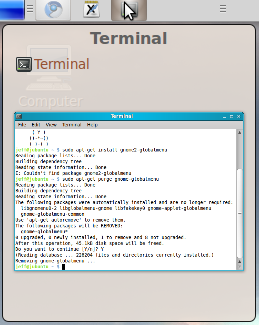 This is all moot as Gnome 3 will be dumping the Gnome Panel in favor of an all in one un-customizable interface that looks more like Ubuntu Netbook Remix than a real operating system. None of our beloved Panel Apps will work under the new environment. I already tried the gnomenu and dockbarx. I think gnomenu is a bit heavy and the main reason is not that functional is the skins that doesn't change much one from the other. As for dockbarx is realy cool the only thing missing is compiz support but since not everybody uses compiz it's not realy a miss. I tested GNOMenu and hated it, and I mean HATED IT. At the time, out of about 17 themes installed, 2-3 were based on Kickoff and the rest were Windows menu copies. And it asked for a RESTART each time I made a change! I chose Ubuntu because I wanted to get away from Windows, why would I want an applet that acts as if my OS was Windows ?!? 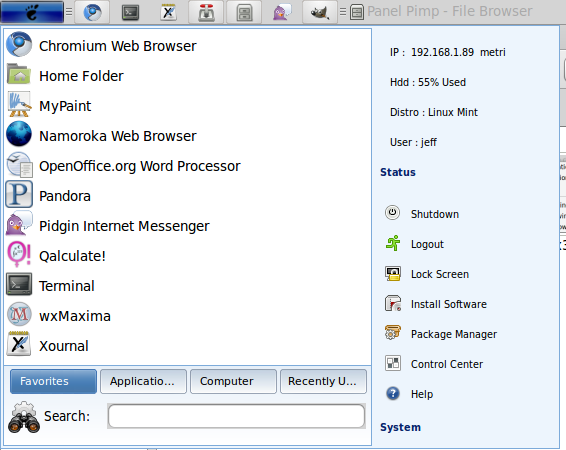 I've since discovered Cardapio, a new menu applet for the GNOME panel. In the two months since it's been registered on Launchpad, it's become mature, and it has cool search plugins. Use Cardapio menu. 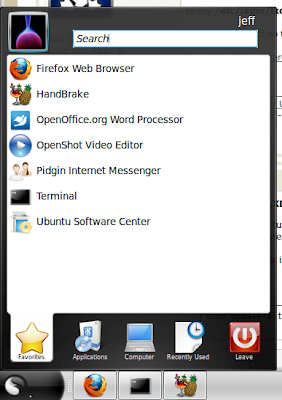 Cardapio is GTK based. Its look is not so beautiful as Gnomenu but its functionality is much better, especially with the search engine, which allows you to browse the web and your files on your disk. 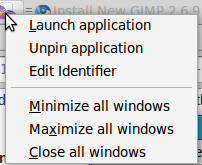 I use Gnome Do, and prefer it to a start menu. I mean, I know what I'm looking for, why not just type it in and hit enter? 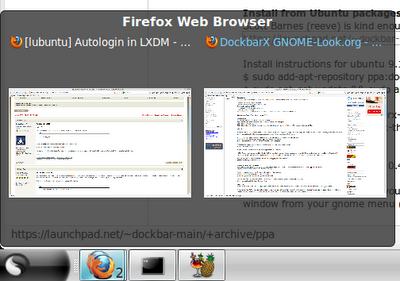 I liked the look of DockBarX so I installed it from command line as recommended. However the add to panel tool can't find it and all I can find in my files is a dockbarx_factory python script in /usr/bin.